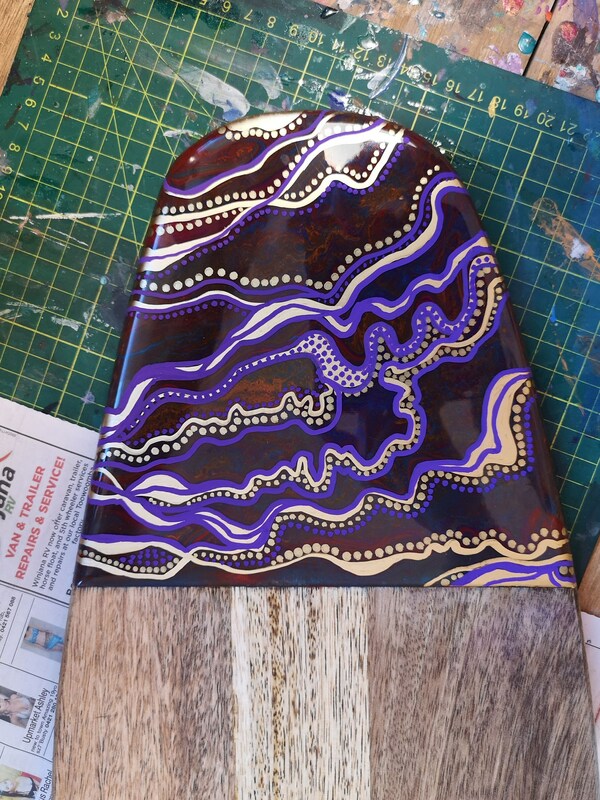 This cheeseboard / chopping board is customised with original abstract acrylic artwork, with hand-painted detailing. Finished with two layers of food-safe resin for long lasting gloss and clarity. Resin sets to a hard glass-like finish. The mango tree is a fast growing tree type that has many shades of wood, from light to dark, and is a sustainable source of timber. 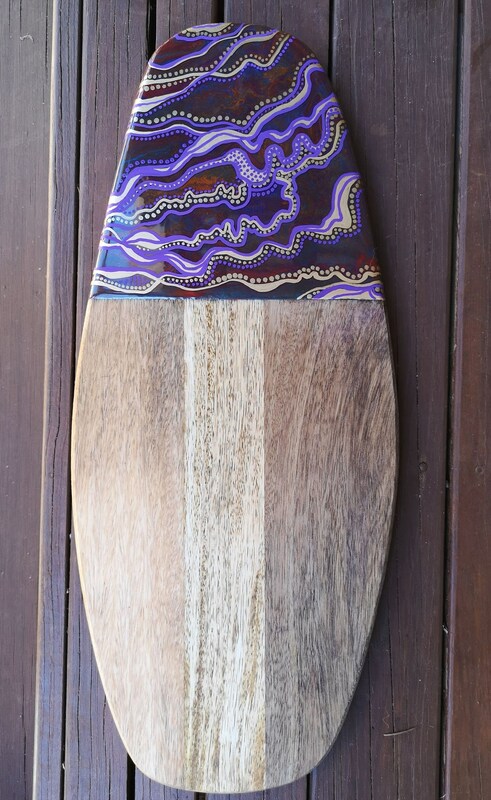 Dimensions: approximately 52cm x 22cm x 1.8cm.